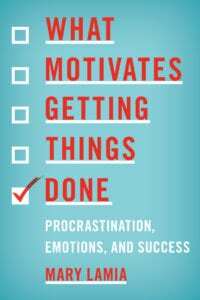 The following is excerpted from What Motivates Getting Things Done: Procrastination, Emotions, and Success by Mary Lamia, Ph.D. (Rowman and Littlefield, July 2017). Used by permission of Mary Lamia, Ph.D. All rights reserved. Emotional memories are powerful. They serve to guide and inform us as we navigate through the present and prepare for the future. If you’ve ever tasted something spoiled, you recognize one of the ways in which emotional memory protects your future decisions. Unfortunately, sometimes we unintentionally apply that same principle to relationships, such as when an implicit or explicit emotional memory cautions us and interferes with the pursuit of having love in our life. On the other hand, sometimes our emotional memories inform us of a truth that we do not want to acknowledge, which then can lead to disregarding our feelings in order to maintain a particular way of thinking. The reality of a situation can be distorted by cognition since, after all, anything is possible in our imagination, including the excuses we make for our own actions or the behavior of someone else. Even though we are able to distort our thinking, our emotions may tug at us for our attention. When a bad relationship eventually ends, for instance, often it is then safe to acknowledge what had been felt. Even so, we give credit to cognition in saying, “I knew it,” when actually we felt it long before we were willing to listen to our emotional messages. How fortunate that the human mind can summon emotional memories of exciting and unsullied love, pride in endeavors, or joy that was felt at an amazing moment in time. Through daydreams we may muse about the past because we want to recreate a satisfying emotional experience, if only fleetingly. Although remembering an event, a situation, or a person can evoke a shiver of excitement, it can also remind us of the heat of anger or the anguish of grief. When a particular situation, thought, stimulus, or event activates an emotional memory, it can be enjoyable or painful, although it may not be felt as intensely as the original experience of the emotion. Something as simple as a particular time of year or a specific date may trigger emotional memories. Often when a present or upcoming date coincides with the anniversary of a loss, for example, memories of the loss become consciously or pre-consciously present in our minds. Anything that is connected to our senses may be a cue that can ignite emotional recall. While visiting an Italian street fair in San Diego, California, for example, my attention became focused on a concession where two elderly Italian venders were cooking and selling sausage sandwiches. Truly, I had no intention to eat a sausage sandwich. 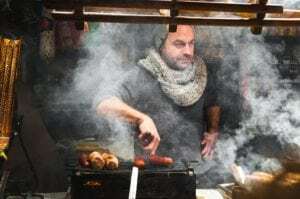 Even so, the delicious aroma drew me near, conjuring pleasurable childhood memories of watching my mother cook fresh “salsiccia” and my fondness for the scent that emanated from the grill. In essence, I became captivated as a result of olfactory memories and imagery that had been activated by the smell. Given the ability of our brain to instantaneously scan an extraordinary number of emotional memories, I also suspect that the aroma, as well as the Italian street fair generally, activated my longing for the mother I lost early in my life—memories that ordinarily rest comfortably in the recesses of my psyche. Nonetheless, on its own merits, the aroma of sausages on the grill that beautiful day in San Diego was very enticing. In fact, a flock of seagulls hovering low and above me were allured as well. Unexpectedly, my enchantment was interrupted when one of the seagulls pooped on my head. Clearly, the gull must have had a lot to eat at the street fair. Startle, disgust, distress, and mild shame (embarrassment) must have been apparent in my facial expressions as I touched the sizeable puddle of goop in my hair and, of course, became highly motivated to do something about it. The surprised faces of the Italian men cooking sausages turned joyful as they shouted, “E buona fortuna!” (It’s good luck!) and “Acquistare un biglietto della lotteria!” (Buy a lottery ticket!) Together, the three of us laughed. 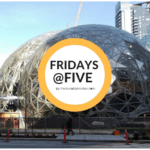 One could conclude that the vendors’ perception of the situation enabled me to cognitively reframe a negatively perceived event as a fortunate one. However, more than cognition was involved in the re-appraisal. The emotional memories that influenced who I became are colored by many experiences of listening to elders in my Italian family, including my mother, make exuberant pronouncements based on their cultural superstitions. Prompted by the prophecies of the two men, my emotional system instantaneously scanned those memories, re-evaluated the situation, and triggered joy that co-mingled with the surprise, disgust, distress, and shame I felt about the poop on my head. The result was laughter. If the situation had instead been reminiscent of past experiences where I had been angry or shamed, my reaction might have been different. I was indeed fortunate, as the experience echoed my positive attachments to my past. We cannot erase emotional memories, although we can be aware of what activates them and the interpretations we make. In addition, we can alter our current reactions to past and present emotional responses. People who have been in psychotherapy, especially those who have been involved in long-term or in-depth therapy, are often alarmed that a present circumstance or stimulus activates old feelings they assumed had been worked through or extinguished. Fact is, our emotional memories serve a purpose and we really cannot pick and choose which ones we want to keep. Besides, not only can we learn extraordinary lessons from the unpleasant or painful ones, but all of our emotional memories are an important part of who we have become. Erroneously, we sometimes assume we should do whatever we can to think positively about everything. Actually, in some situations having positive thoughts seems impossible, especially when a present situation is dreadful and negative emotions or emotional memories are working hard to inform us. When we make an effort to “see the glass half-full,” which is what we do when we attempt to cognitively and positively reappraise a circumstance or situation that actually is pretty awful, we are trying to activate a positive emotion in a situation that triggers a negative one. Our biological system of emotions can outsmart us, however, and refuse to accept a positive reappraisal. After all, it has an advantage given its job to encode and store all of our emotional memories as well as to instantaneously retrieve them. Thus, your brain may decide it is not in your best interest to disregard what it is making you feel, along with the corresponding negative spin on what you think. As a result, you may not be able to alter a particular emotional response. Perhaps during your waking hours you can make progress in fooling your emotional system, but at night as you are trying to sleep and your guard is let down emotion will break through. Instead, however, you can evaluate your reactions to what you feel. Just as an emotion is our biological system’s best guess, so are the thoughts that accompany our feelings. Being mindful of emotional responses—just sitting with them—can help us recognize their foundation in past experiences and can enable us to re-evaluate our reactions. Emotions are such a neat and well-arranged system. The accumulation of emotional experiences, especially in our interactions with other people, script our present responses when a biologically-based emotion is activated. These scripts organize information in our brain so we do not have to re-learn the knowledge we gained from prior similar experiences. For the most part, these neat little packages of emotional memories influence our decisions and how we govern our lives. Even so, sometimes what we learn is not entirely correct or we don’t quite learn what we need to know in order to achieve our goals, but instead respond according to old scripts. Task-completion styles, or the failure to adequately complete tasks, illustrate how our lifetime of responses to our innate motivational system can script our behavior in different ways. 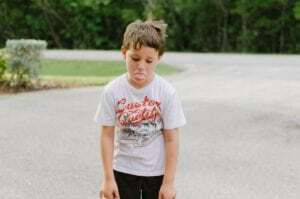 Due to repeated experiences of shame in academic situations, some children learn to avoid challenges rather than risk shame by trying and failing. This further keeps them from opportunities that will help them form new and different emotional memories. When we simply look at behavior, without exploring what actually motivates it, we often fail to recognize the biological, psychological, and social influences that account for differences among people. In fact, we might instead criticize or shame others for their differences or for being unlike us. Similarly, numerous behaviors and convictions are subjected to negative judgement and criticism, from political party preferences to religious beliefs, although these are the result of having an ideology that is fueled by emotion. Indeed, so much of human behavior, including personality traits, can be understood by recognizing the emotions behind it. Emotions motivate you to get things done because they make you care: You care because you feel something. Although task driven non-procrastinators, along with many procrastination researchers, may perceive deadline-driven procrastinators as not caring, that’s not the case. All of us, both consciously and unconsciously, are continuously caring in some way as we are always processing information conveyed by our emotions. Sadly, even those who consistently fail to meet deadlines or who do suboptimal work have emotions that make them care. However, they have learned to use coping responses to what they feel that often result in further failure. Navigating the terrain of emotional obstacles that interfere with success is not always easy, but it certainly is possible with the help of the emotion of interest. We can approach any feeling with interest—a curiosity about the sensations we feel and the thoughts that accompany it—and accept the feeling as our brain’s best guess to provide information that will motivate us in a particular way. As such, emotions are somewhat like a person in your life who gives you information that is vital to your goals, but at other times what he or she offers is misguided due to his or her own past experiences. Accept the information, silently consider and explore possibilities, and arrive at a conclusion. Both children and the adults in their lives can benefit from understanding the source of what motivates them. Mistakenly, many parents, teachers, and even some psychological researchers believe only positive emotions motivate children in a healthy way. Yet how many children have a motivational system that will trigger the emotion of excitement, for example, in response to several pages of math problems or taking out the garbage? Although children can be motivated by anticipating they will feel positive emotions that result in pride, often what motivates a child to get something done has to do with their response to negative emotions, such as the avoidance of shame or guilt, or a relief from distress or a fear of failure. In any case, the ultimate goals to keep in mind has to do with consistently meeting deadlines and using one’s best efforts. But the way in which these goals are accomplished may vary. Even so, many parents attempt to motivate children, or offset a negative emotional response to a task they must complete, by offering a later reward. Another tactic involves a punitive response, such as taking away a privilege or an activity until a task is completed. Some children, however, may prefer to avoid the negative emotion associated with getting something done above enduring what they have to do to gain a future reward or to avoid punishment. Unfortunately, at the extreme, some adults behave in ways that activate fear, shame, or distress responses in children in order to stimulate their getting something done. In such situations the adult misuses the child’s emotional system for his or her own goals; that is, controlling the child’s behavior through activating negative emotion. People who bully operate on a similar principle. Instead, educators or caregivers who can be playful with their awareness of how the human motivational system works can activate interest or excitement about the relief that will be felt in completing a dreaded task, along with pride in the outcome. That’s real. Sadly, children are not re-directed when they translate in misguided or maladaptive ways what their motivational system is informing them to do. Just because we experience a negative emotion about a task to complete does not mean we should avoid getting something done or be punished for what is felt. Moreover, many children are confused when they do not feel any positive emotion about a task that is before them, as though that’s always how they should always feel. It’s important at any age to learn about yourself by taking a look at your reactions to the emotions you feel. As discussed in several chapters of this book, self-observation that is often prompted by shame, and felt as regret, provides an opportunity to learn, change, improve, or do something differently the next time around. Both deadline driven procrastinators and task driven non-procrastinators who are successful in their endeavors or careers often make use of the emotions they experience. Rather than defensively respond to what they feel, they instead reflect, self-evaluate, and learn. Evolution has given you an impressive motivational system to help you navigate through life and get things done. Just like the thumb on your hand, emotions have evolved to help you, even though, at times, they may seem to get in the way. You may think that the best course of action is to suppress or disregard an intense emotion rather than figure it out. But why ignore an emotion that has evolved over thousands of years to help you? Emotions serve a purpose, informing you, the operator of your body, what to do. If you learn to interpret the messages your emotions convey and understand your reactions to them, you can make the most of the system that not only motivates you to get things done, but motivates everything you do. Mary Lamia is a clinical psychologist and professor in the San Francisco Bay area. She is the author of five books and she blogs for Psychology Today and Therapy Today. For more information, see her website. We are such present beings, that we forget that everything that has happened before this moment has affected us to be where we are, what we’re feeling. Emotional memories are present even when we can’t decipher them. We’re not laid out like computers or a fix sylk file format, we have layers of memories and emotions. Thanks for your article, it really got me thinking. Thank you for your thoughtful comment, Dennis. As you note, we are not created like computers and can not be processed like a sylk file. Nevertheless, we tend to disregard that emotions are intrinsic to all human motivation.